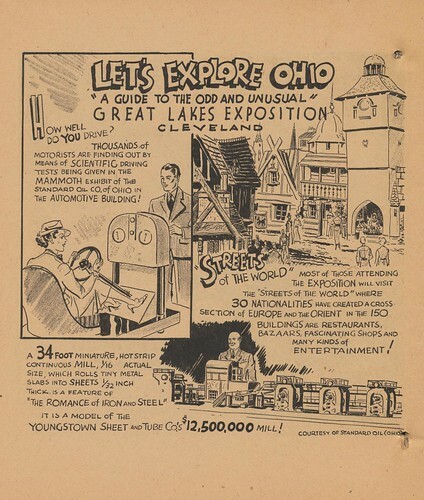 Cleveland Area History: Let's Explore Ohio! Image courtesy of Jordan Smith / What Makes Pie Shops Tick? 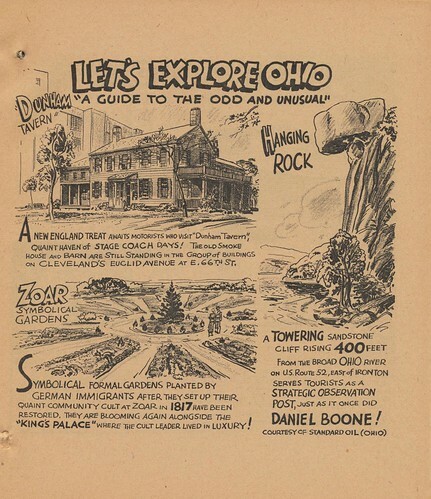 John Vacha's latest book, Meet Me on Lake Erie, Dearie! 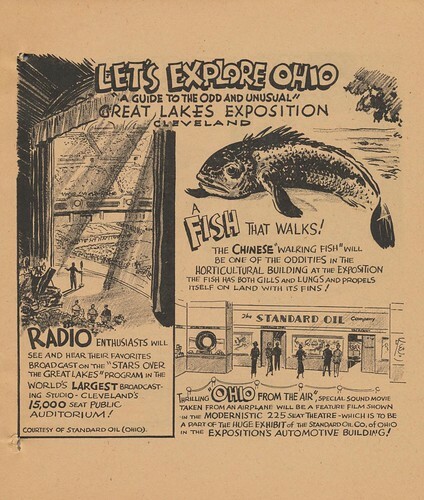 had me thinking about the 1936-37 Great Lakes Exposition, a grand fair held in Cleveland. 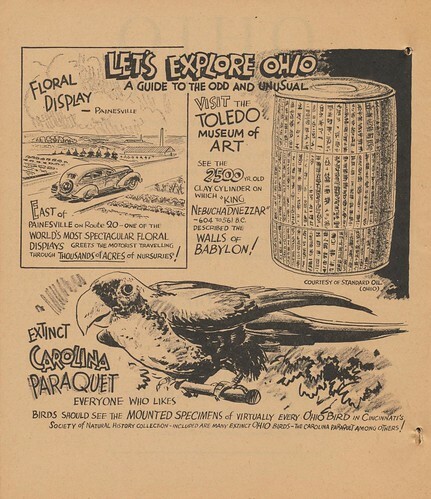 In a local collection, I came across this coloring book, created by Sohio, presumably as a giveaway for the exposition. I was going to scan it myself, but then I thought "Hey, I really should see if someone else has done that first." To my surprise, Jordan Smith / What Makes Pie Shops Tick? had already scanned the book in its entirety. 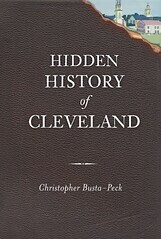 This post includes select pages that deal with the Cleveland area. If you like it, you might want to check out the whole book. Heck, you might even want to print out some of the pages for coloring, for your kids or yourself. Note: The language and tone are, um, what you might expect for the period, so you might want to read them before giving them to your children. I wonder how many of the nurseries mentioned here are still present. 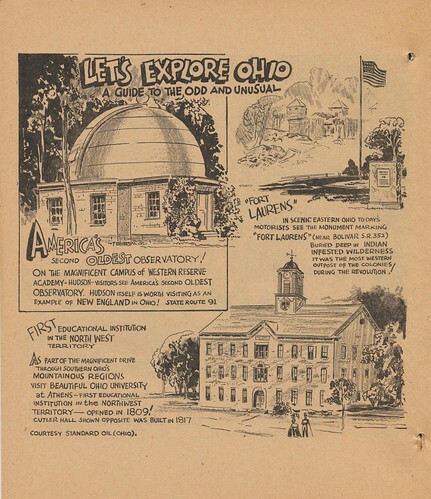 The observatory at Western Reserve Academy, in Hudson - the second oldest in the country - is a historic site that seems to mostly be forgotten. The reminder of its existence is most welcome. The Kirtland Temple, on the other hand, remains prominent. It's unclear what became of the "Pals" at the Cleveland Zoo. The Dunham Tavern receives mention as well. Finally, we're greeted by two pages, sharing the wonders of the Exposition. How many remain wonderous to you, today? 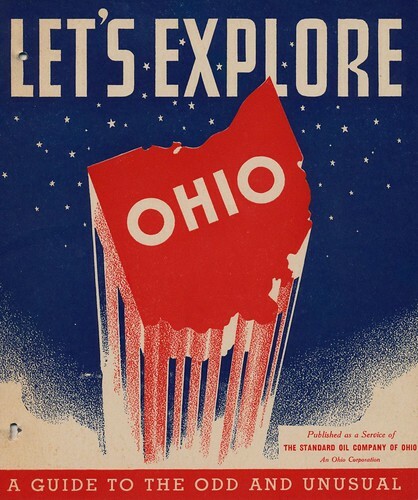 Thanks for reminding us what a cool place Ohio is. 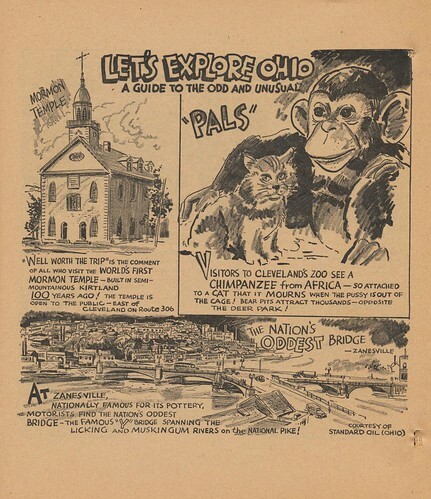 I have been to surprising number of these places--I even stumbled across the Zanesville "Y" bridge when driving in southern Ohio, not to mention the "S" bridges also found there.